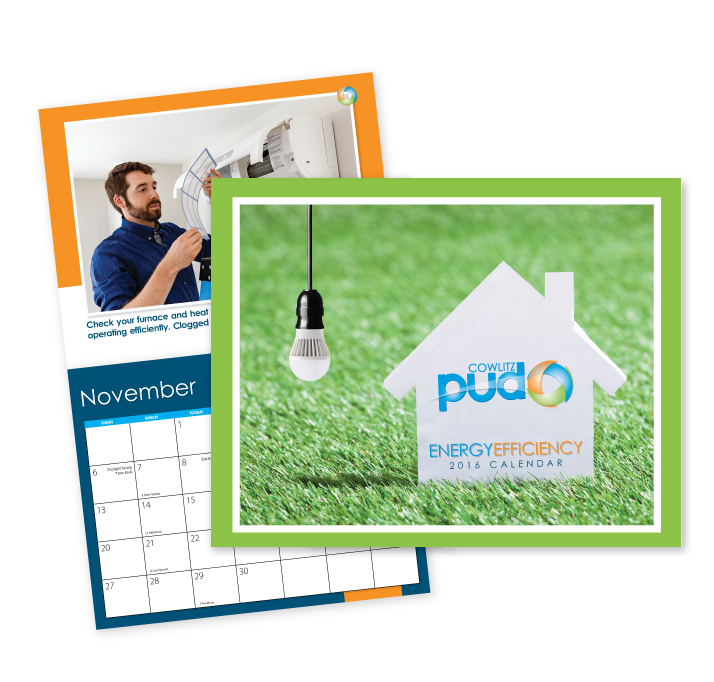 Save the (Energy) Date - Ruralite Services, Inc.
Michelle Ehrlich of Cowlitz PUD, Washington, partnered with Ruralite Services Graphic Designer Duy Mai to design and print an energy-efficiency calendar. Pops of color and strong images help Cowlitz PUD consumers stay on top of energy needs throughout the year, while Ruralite’s legwork kept Michelle under budget. Ready to design a custom calendar for your utility? Let’s talk!